Poster for BAFTA nominated director of Dreams of Life, Carol Morley. 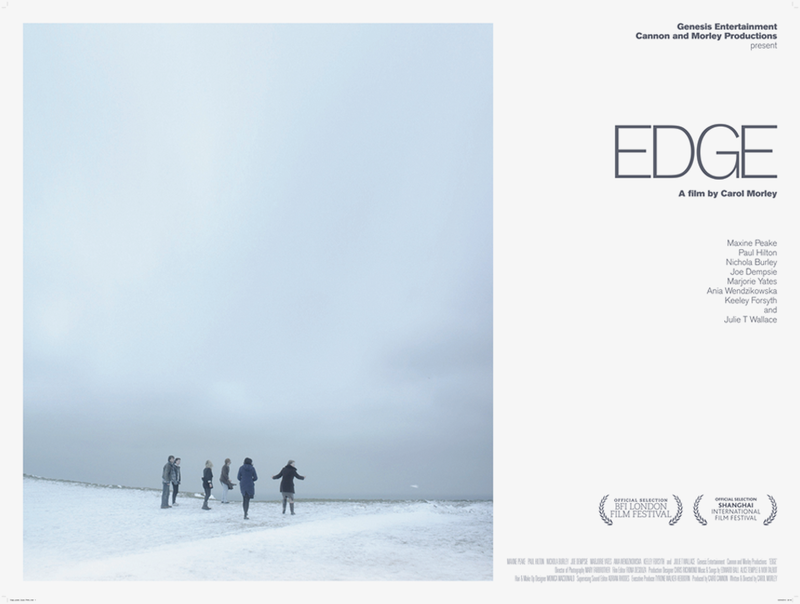 ‘Edge’ was sown at the Shanghai and London Film Festivals. Set at Birling Gap near Beachy Head in very bleak mid-winter, all that was required was restrained typography to offset one of the many wonderfully minimal images. Check out her new film (if you can get a ticket! ), The Falling at the 2014 London Film Festival.